If you've worked with us before, you know how much we love hills. 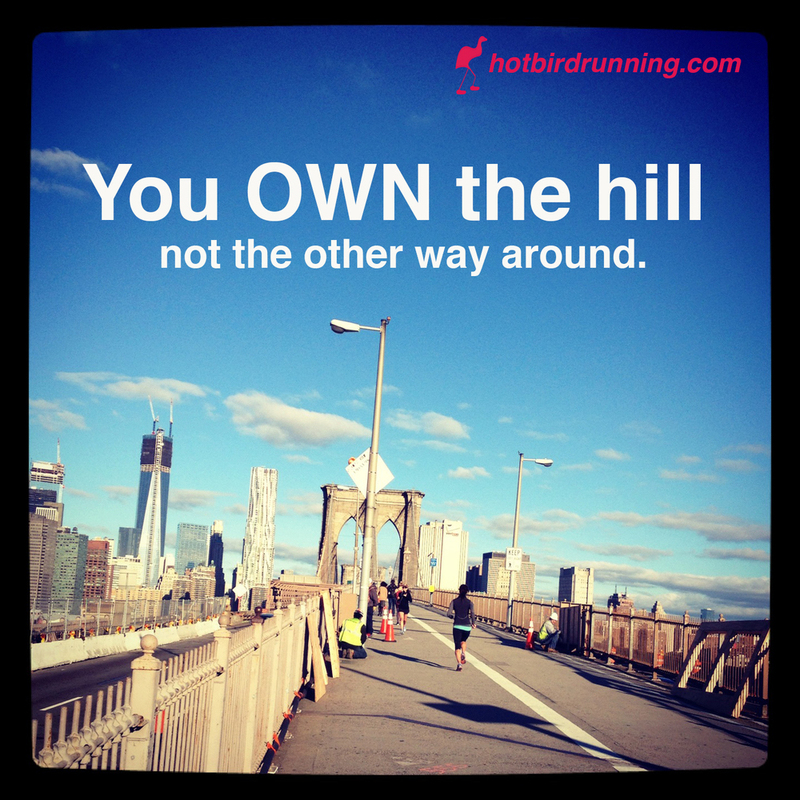 We love hilly runs, hill repeats and finding new hills to run. Why do we love hills? Because they build strength, stamina and endurance. 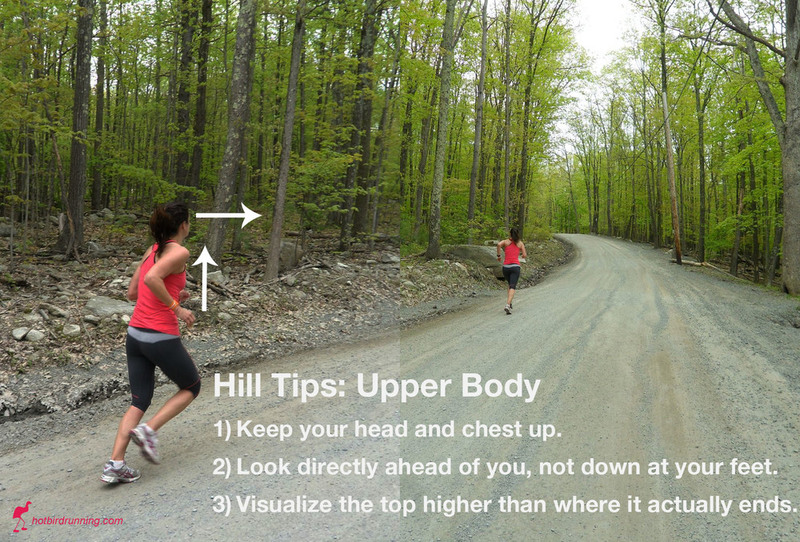 Even if your race isn't hilly, incorporating hills into your training will benefit you. You'll be able to run farther and stronger after a few weeks of hills. Remember to start out easy and slowly - don't charge up the hill or do 8 repeats on your first day out. 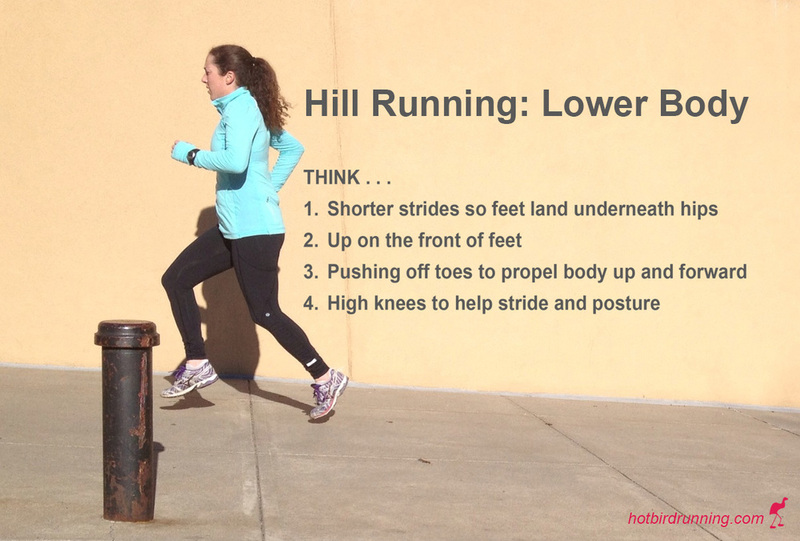 We recommend incorporating hills into your daily runs and then adding in hill repeats once a week. Find a hill that is about 1/4 of a mile and run up it a few times. Walk back down (or jog) to fully recover before you start up again. Most runners don't focus enough on their core, i.e, their abdominals, lower back muscles and glutes. These muscles are key focus areas for runners because they provide the stability, power and endurance. If your abs are weak, it can lead to funky running patterns, i.e, overstriding, understriding or a pelvis that swings from side to side and eventually injury. 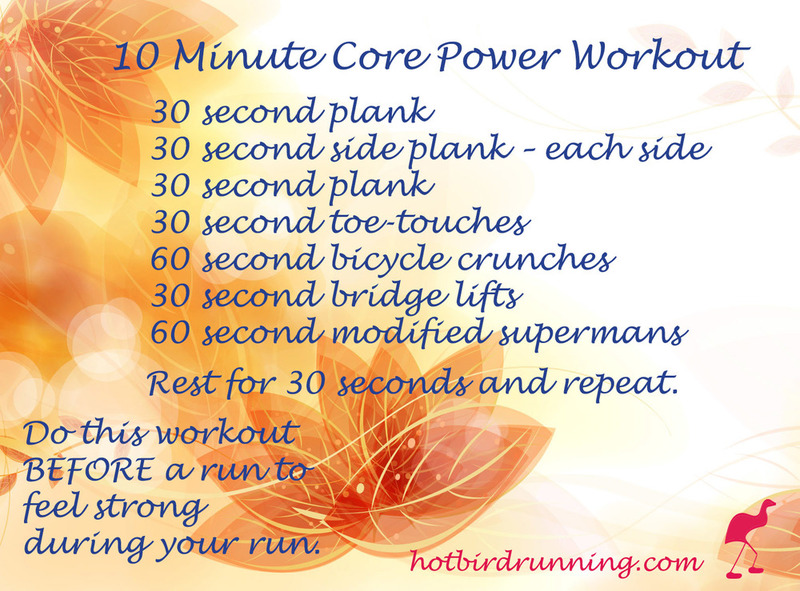 How does a strong core help runners? Strong glutes provide power and stability to power you up hills and they provide support and absorb the impact on the downhills. Strong and stable lower abs, mainly the transversus and rectus abdominis, generate more force and speed as you push off the ground, making you a faster runner. Strong obliques help support your torso and maintain proper form over long distances, and they help you move laterally around a runner in a race or dodging those pesky tourists on your favorite run! We designed the below workout to hit those target areas. Do this exercise for a week before each run and feel the difference. Overall, incorporate core work into your regular training at least 3 times a week. 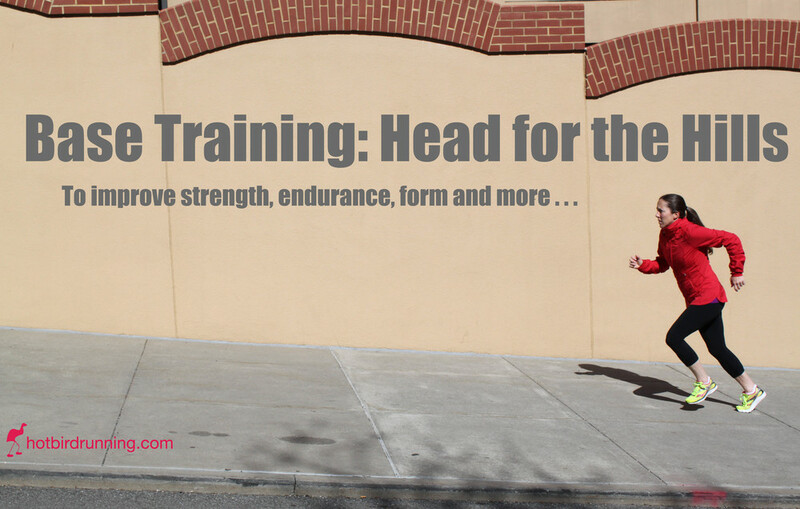 Don't let your legs do all the work on the hills - get the arms involved (properly!). March hill tips this week are all about the arms. Stay tuned for lower body tips next week!